Bruce Lipton: Full conference / Genes don’t control your reality! Your perception control genes! Change your perception and change your life. This isn’t just a platitude. 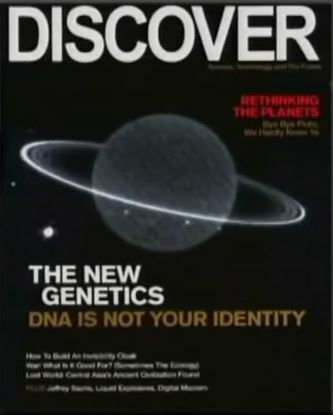 It’s science, it’s epigenetics.1 It’s not just about inheriting the consequences of a forebear’s negative environment, but changes that can take place when you control your social environment. Cognitive Behavioral Therapy is a good way to change your perception. As Dr. Lipton states here, beliefs run our genes and the science behind it is now accepted by most neurologists familiar with epigenetics, particularly any interested in the effects of stress on the brain itself. The importance of perception is what I learned from a remarkable therapist and unwitting mentor, Saadia McLeod. Looking back I certainly wasn’t an easy patient. After a break-up, for about 10 years I had completely isolated myself. I literally had no friends. I might get one or two calls a month at most, albeit not from friends since, again, I had none. I left the house only three or four times a month; to see my therapist, or my psychiatrist, and to pick up meds. Isolation is certainly not uncommon in people with bipolar disorder or clinical depression, but I had reached a point where my fear of change would make any hope of remission impossible. 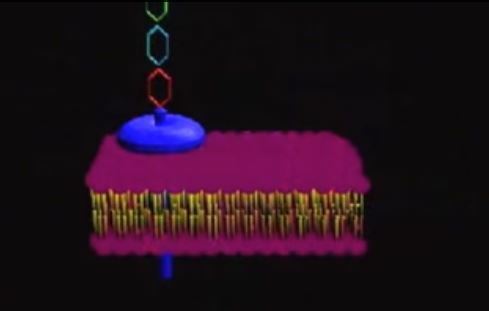 Cell membrane with green and red protein antennae that picks up the signal, or perception. Acting on a negative or positive charge in the field of consciousness, the cell reacts and grows productively, or goes into a protective mode inhibiting growth. I was hospitalized for bipolar disorder 14 times throughout my life, for attempts like overdoses downed with a bleach and ammonia cocktail, or going inpatient for suicidal depression and med adjustment. The last time, my dad had clearly seen where this pattern would take me. He said “We don’t want to have to visit you at Live Oak. That’s where this is going.” It was an odd thing to say, I thought at the time. Then it dawned on me. Live Oak was a cemetery near here. Suddenly the recent spate of pamphlets from local cemeteries around here made sense. They had come to suspect I would not survive the next attempt. Beliefs run your genes. Gene expression actually affected by consciousness (perception) and environment. What chains did I embrace? the most crippling one was isolation. The excuses I came up with, in defending isolation, should be familiar with anyone that has this condition: “I don’t want anyone to see me depressed”, “it doesn’t matter where I am at I will feel the same”, “I don’t want to bother anyone with my problems”, etc. The worst part of isolation is the detachment from reality it inevitably develops. It is much easier to believe you’re worthless when there are no people to tell you that you aren’t. It is much easier to believe the monstrous delusion that solitude is preferable to supportive company when you have learned to avoid human contact. Being able to pick up the phone and call someone was an impossibility for me for many years. Isolation is without a doubt one of the most devastating conditions in the human experience. It’s used in prisons to punish, or even torture if coupled with sensory deprivation. It is the detachment from reality that makes up the punitive element of isolation yet, in the throes of depression this punishment is imposed on ourselves and we find ways to rationalize it. To this day it takes a heroic effort for Saadia to remind me of the cognitive fallacies I often succumb to; the dangerous misperception of reality that led me to situations like this. We are all about perception. 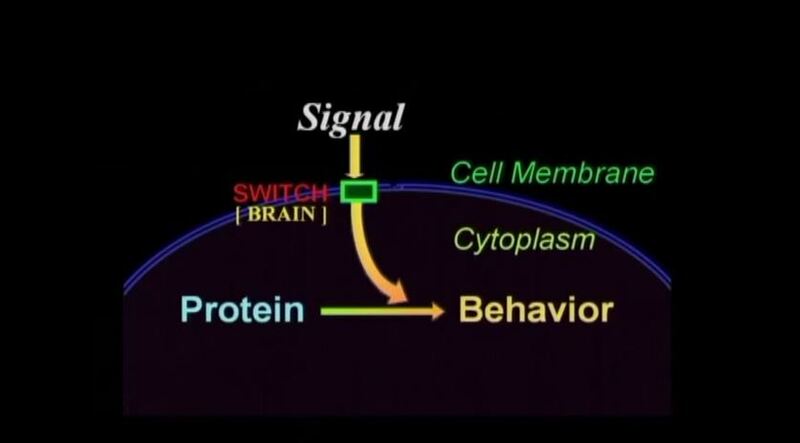 We know from epigenetics that perception changes genes. Isolation makes it easy to perceive a world wherein you are worthless and alone, for example. We need to be around people who remind us that we are not alone, or worthless, weak, defective, lazy, or any of the endless epithets we encounter daily. Consciousness changes your DNA, and good therapists and support groups are dedicated to nurturing and protecting that consciousness. You don’t stumble unto a reality you didn’t create. For the most part, in every aspect dependent on your decisions, your reality was created by you and your beliefs about yourself. The depressed mind distorts perception, however, and makes it almost impossible to construct a positive reality unless it is constantly corrected. When healthier, and only then, the best way to predict your future is to create it. That is why it’s important to change your perception and to be around people who believe in you when you don’t believe in yourself. Personally, I feel fortunate that I now have a group of friends I can call not just to hang out with but to discuss any given crisis, be it depression, manias, suicidal ideations. It is the closest thing you will find to unconditional acceptance, or even unconditional love. Self-acceptance is the foundation for any hope of happiness. Being around an accepting environment is key to attaining that self-acceptance. Whether it be a DBSA group or any other social setting, it is critical to surround yourself with people who validate who you are. Of course we are not always in control of the mental faculties it takes to heal or protect yourself from the enemy within. There are many, many times when I sat through a session trying to explain why I was suicidal or severely depressed. Outwardly there would be no good reason, and it was then that she would remind me, in her uniquely empowering way, that the nature of this disorder is a cyclical biochemical imbalance that needs no specific trigger, but that it will pass. Comedian Kevin Breel described it best when he said that depression isn’t about feeling depressed when things are going wrong, but feeling depressed when things are going well. The breakdown of neural pathways can actually be seen in the absence of brain activity in areas critical to reasoning. In the depressed or manic mind, the tools required to heal are absent. If too depressed the pathways my brain had formed in problem solving, in completing and carrying out simple tasks are not functioning properly, if at all. My memory and concentration are gone. I cannot read a paragraph without having to read it again because I can not retain what I had just read. The simplest problems become overwhelming, and it becomes second nature to catastrophize. Faced with a significant crisis, panic sets in. It’s during those times that the worst fear I can imagine is waking up the next day. It becomes an absolute terror. Voltaire wrote that “It is difficult to free fools from the chains they revere.” Pointing out those chains is what Saadia did that changed my life, but it took a long time to accept the fact that not only did I need to attend a support group but that there was no way to get better unless I did. She won’t ever take credit for those changes that transformed me, she always says I was the one who made the changes. This modest assertion isn’t true, though. Those changes wouldn’t have come without years of patient, tireless therapy with a non-compliant and cynical client. I was fiercely resistant to attending any support groups because I felt they were useless. The ones I encountered in the hospital were ineffective, so I figured they would be the same with DBSA. Moreover, I was terrified of being around people and had lost any significant social skills. Finally she said that my therapy was contingent upon attending a support group, or in simpler terms “go to group or I won’t see you anymore.” It was a sobering moment, having known her for about ten years and having become extremely fond of her. I knew her since she was an intern. The next Monday I attended my first meeting and I realized I was wrong about DBSA. Peer run groups are an entirely different dynamic. Things changed after that. Suddenly, I had the best friends I could ever hope for: people who understand, who have been there. Getting a good therapist is largely a matter of luck, but they are beyond essential. Through repetition and practice, we learn to walk. It is difficult to understand just how complex this simple act really is when you consider the amount of coordination and balance required. First you have to learn to stand, and maintain balance. Then you have to move one foot in front of the other, while maintaining that balance. At first this will be a deliberate, conscious effort, but later the neural pathways will form and do it unconsciously. If we hope to get better, we have to train our minds to walk away from destructive thoughts, automatically, and each instance requires learning new steps, such as finding where that thought came from, its basis in reality, and pointing out its relationship to the behavioral problem it induced, behavior such as isolating yourself. So in this sense, Saadia taught me how to walk away from the darker, self-destructive elements of myself. Repetition is key to reflex responses, and that’s pretty much how this works. I would let slip a cognitive fallacy, such as “I am a failure, I will always be alone” and she would make me examine that statement, challenge it, help me correct it to something like “I have succeeded and will succeed again, and am not alone”, and repeat as necessary until there was a counter-argument or truth that replaced the negative neural pathway that had been ingrained with years of depression and unchallenged internal dialogue. Multiply this by countless negative fallacies the self-flagellating depressive mind can conjure up, and you can see why therapy is never over. Some types of therapy are temporary, others aren’t. For the latter, it is a long journey. Like each support group meeting, each session with Saadia is a single step in that journey. I’m grateful she walked with me, in whatever capacity she could, on that rocky passage which for over a decade I had tread alone. Saadia is a fantastic psychologist full of insight, wisdom and empathy, and I feel very fortunate to know her. People who commit suicide have less-active ribosomal RNA (rRNA) genes than people who die of other causes. In people who commit suicide, Methyl levels are higher on rRNA genes in a part of the brain called the hippocampus, which is important for learning and memory. More methyl means less rRNA production, which means fewer ribosomes, which means less protein production.